FIRE SAFETY North will offer an unparalleled line-up of free CPD-accredited seminar sessions and the chance to gain insight on improving fire safety, business continuity and protection for organisations. The IFSM AGM will be open to all delegates and include seminars delivered by Gexcon’s Dave Price who will share a case study on a devastating explosion at a firework factory in Tianjin, China and a key overview on why third-accreditation is key for fire risk assessors, which will be delivered by BAFE’s Chris Auger. First time exhibitors Capsule Systems, Horizon Facade and Elite Security Products are among a few that will be joining the fire safety community as they come together to enjoy the wealth of networking, informational and purchasing opportunities available at Fire Safety North. The exhibition is the perfect platform for practitioners to access the world’s leading fire safety suppliers and manufacturers showcased all under one roof, with additional confirmed exhibitors including Apollo Fire Detectors, Kingspan Limited, BOSCH, Fike, Firepro UK Ltd, and many more. Fire Safety North has been created to give like-minded professionals the opportunity to share best practice, and there’s no better time to do so than during the breakfast briefings and seminars. On 9 October, visitors are invited to a session focusing on contractor competency where they can enjoy a bacon roll and refreshments while discussing the topic with BAFE schemes manager Chris Auger. Following the Grenfell Tower tragedy, the importance of protecting tall buildings is as prevalent as ever. On Tuesday morning, Stewart Kidd from BAFSA will share the missed lessons from the tragedy. .
Day two features ‘Assessing fire safety risk and liability’ with Dr Bob Docherty offering advice on how to ensure you have a competent contractor carrying out fire safety work and the benefits of a fire safety passport, which highlights all the key fire safety information of a building. Delegates will also hear examples of how to keep staff and premises safe with additional perspectives on liability from insurers. BT and C-Tec will also be exploring the effectiveness of Stay Put policies, reliable alarm signalling and the impact that Digital Voice will have on this in the future. The successful Fire Safety Mock Trial hosted by Blackhurst Budd Solicitors returns with the audience as the jury in a trial based on a real-life prosecution. In addition, speakers from Asecos, Jactone and FFE will look at preventing major fires on vehicles and across a range of premises with detection systems that prevent major incidents. 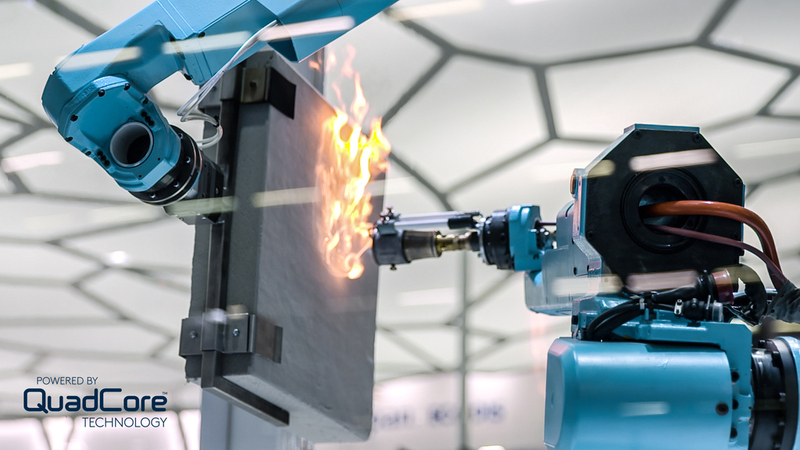 Kingspan will be bringing its fire robot to do a live burn test of an insulated panel, which will allow delegates to touch the panel after it’s been exposed and not succumbed to a flame of over 1000F. The demonstrations will take place daily at 9:00, 11:30, 13:30 and 14:30. Advanced will also provide a live demonstration on how to ensure your fire alarms are reliable and to prevent unwanted alarms. The demo will take place in the entrance to the Fire Safety Keynote Theatre at the end of each session in that theatre. Fire Safety North is co-located with the long-established Health & Safety North, the combined events boasting over 200 exhibitors. Visitors can enjoy a range of additional seminars and educational, CPD-accredited content provided by the British Safety Council as well as panel debates sponsored by 3M. The entirety of the unrivalled professional content available at Fire Safety North has been curated specifically for the fire safety practitioner. The event offers visitors the chance to hear from industry pioneers and actively participate in the discussion, debate and confrontation of the biggest topics and issues the fire industry is facing in 2018. Join the conversation and register today for live debates, interactive question and answer sessions and to network with peers and authorities alike at Fire Safety North 2018.